Aromatic Roasted peanuts with balanced sweet and salty flavor that you’ll love to the last bit! Classic sweetness of caramel with a twist of sea salt confuses your taste buds in a way you will absolutely love! - Classic Flavors in a Not-so-classic Style! - What is caramel but roasted sugar? And roasted things go well together, just like roasted peanuts and caramel. 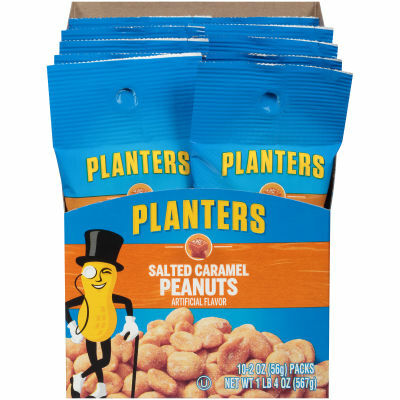 When brown roasted peanuts get enriched with sugary sweet caramel they create a flavor to remember! All this caramel and peanut extravaganza is given a spark by sea salt. Serving size 1 pack (56g).